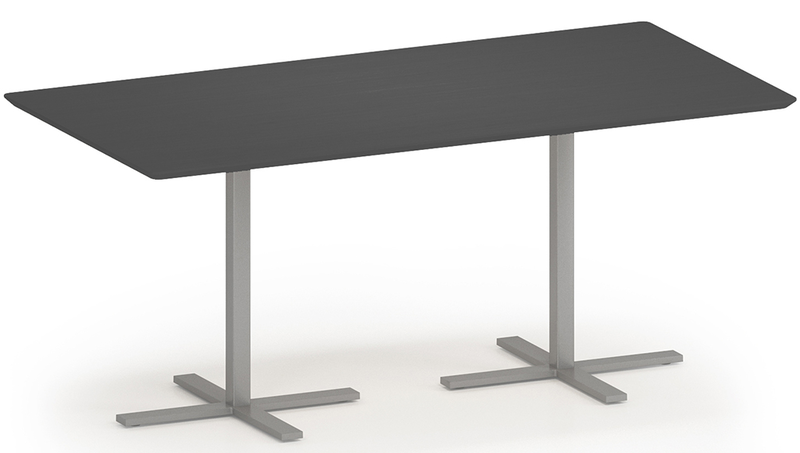 Avon Conference Tables feature a durable high pressure laminate table top with sleek and modern metal X bases. 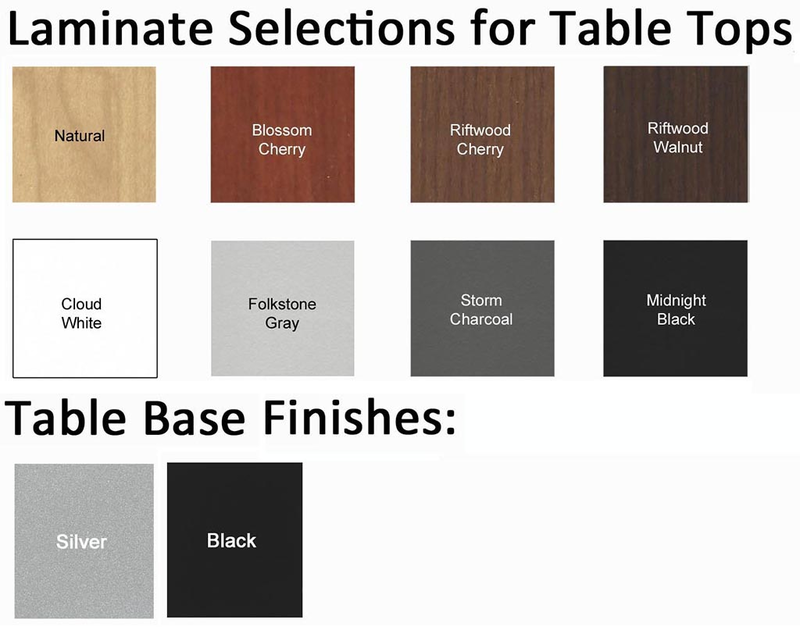 Available in 8 trendy laminate colors with Silver or Black bases. 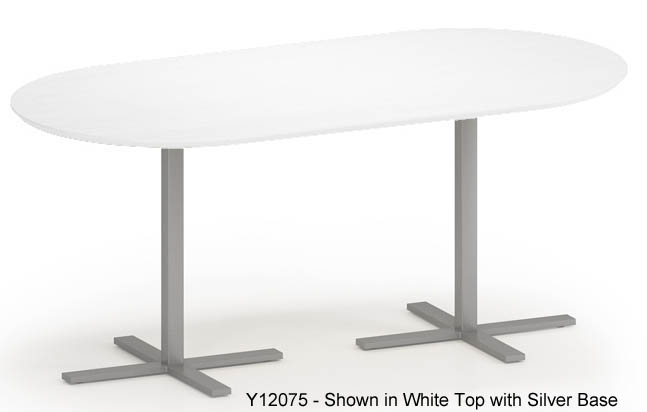 Attractive enough for conference room use yet resilient for cafeteria or break room use. 36" x 72" Oval Conference Table sold above. Rectangular Version sold below. 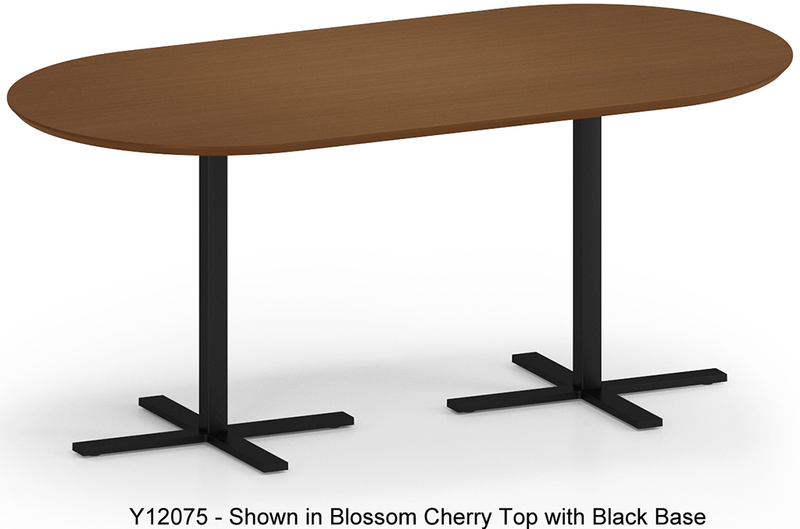 36" x 72" Avon Oval Conference Table stands 30" high. Seats 4-6 people. Ships unassembled. Shpg. weight 116 lbs. PRICE INCLUDES SHIPPING! (Truck shipment - see Terms & Conditions). Please allow 2-3 weeks for delivery. 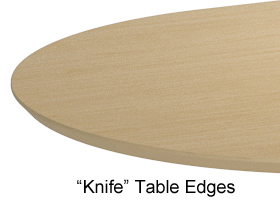 * 1� thick table top features tapered �knife� edges. 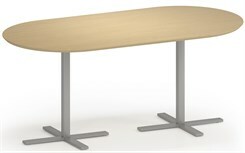 36" x 72" Avon Oval Conference Table stands 30" high. Seats 4-6 people. Ships unassembled. Shpg. weight 116 lbs. PRICE INCLUDES SHIPPING! (Truck shipment - see Terms & Conditions).